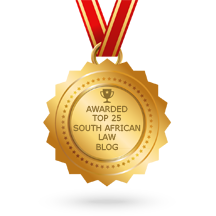 Cape High Court Recent judgments hosted by Stellenbosch Faculty of Law – searchable. Supreme Court of Appeal SCA Judgments on Dept of Justice site. SCA Judgments hosted by Univ. of the Free State – mostly in HTML format. Includes a list of enrolled cases. Includes Bulletins of Reserved and enrolled cases – searchable. Natal Law Society Library Info on Natal Law society, provides access to selected judgments, and some Court rolls, and has useful Library resources.